Eva Green is a French-born twin-sister-having starlet, which means she already has enough built-in femme factors to provide a forest full of wood. But now, let’s add her visibility that’s got her scandalous Sin City 2 poster rejected by the MPAA. Apparently those self-proclaimed judges of propriety got wild upon the site of her underboob, in conjunction with a serious silhouette of nippage, for the A Dame To Kill For poster. The Weinstein brothers were clearly so offended by this rejection that they released the publicity stunt shameful scandal as a press release for the film, releasing in theaters August 22. 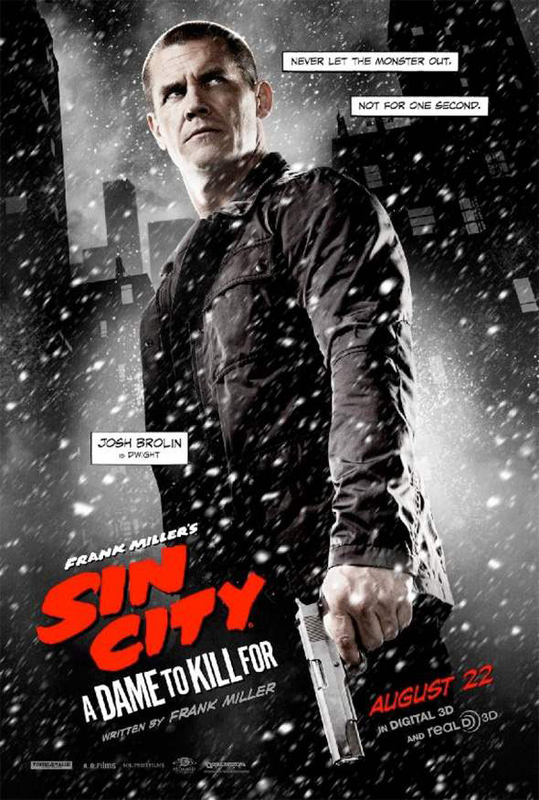 As long as Robert Rodriguez and Frank Miller’s sequel is as good as the first Sin City, we won’t be complaining. Peep some of the other solo character posters in the gallery below.